Amazon.com: The Lure and the Truth of Painting: Selected Essays on Art (9780226064444): Yves Bonnefoy, Richard Stamelman: Books. Buy The Lure and the Truth of Painting: Selected Essays on Art by Yves Bonnefoy (ISBN: 9780226064444) from Amazon's Book Store. Everyday low prices and free delivery on eligible orders. 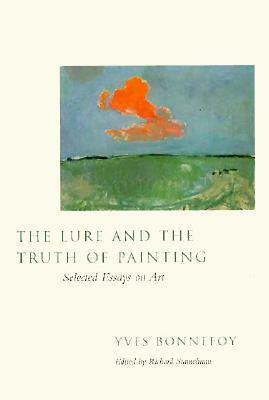 The lure and the truth of painting : selected essays on art. Responsibility: Yves Bonnefoy ; edited, with an introduction and afterword by Richard Stamelman ; preface by Yves Bonnefoy. Imprint: Chicago : University of Chicago Press, 1995. Physical description: xxiv, 228 p.,  p. of plates : ill. (some col.) ; 24 cm. The lure and the truth of painting : selected essays on art /​ Yves Bonnefoy ; edited, with an introduction and afterword by Richard Stamelman ; preface by Yves Bonnefoy. Author. Bonnefoy, Yves. Other Authors. Stamelman, Richard Howard. Published. Chicago : University of Chicago Press, 1995. Physical Description. The cover and pages are in very good condition! The dust jacket is clean and undamaged. Fast Shipping from California. Supports Goodwill job training programs. | eBay!